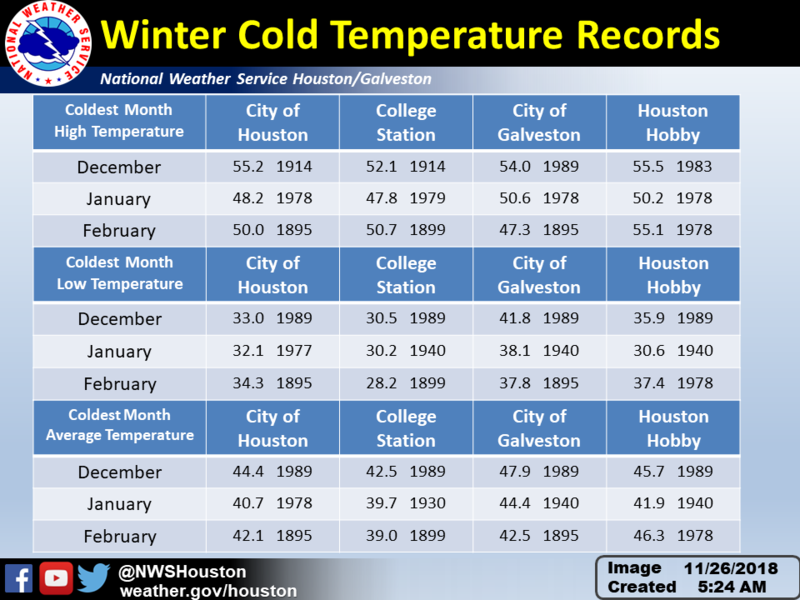 The Houston/Galveston National Weather Service (NWS) office has a long history of serving the public. Before the establishment of a joint office to serve the citizens of Southeast Texas, there were two separate offices in the region - one in Houston and the other on Galveston Island. First a little background. Back in 1870, the U.S. Congress created the Public Weather Bureau as a part of the U.S. Army Signal Corps. The first weather office in Texas (and one of the first in the Nation) was established in Galveston on April 19, 1871. The office was originally located on the Strand and was moved several times in the downtown area for the next 20 or so years. The Galveston Weather Bureau office was moved to the Levy Building on Market Street in June of 1898. It remained there until the Great Storm of 1900. After the Great Storm, the office was moved to the Trust Building until the mid 1940s. In 1946, the office was moved to what would be its final location, the U.S. Post Office Building on Rosenberg Avenue. In 1960, one of the first WSR-57, Weather Surveillence Radars was installed at this location. This radar, and other like it throughout the country, served as the backbone of a severe weather detection network for over 30 years. Shortly after the installation of the radar, the Galveston office was the site of the first live television broadcast of a hurricane (by Dan Rather at CBS) in September of 1961 when Hurricane Carla struck the Texas coast. As a part of the NWS Modernization effort, all services of the Galveston office were transferred to the Houston office in April of 1994; and the Galveston office was vacated and the weather radar removed from the Post Office Building in October 1995. 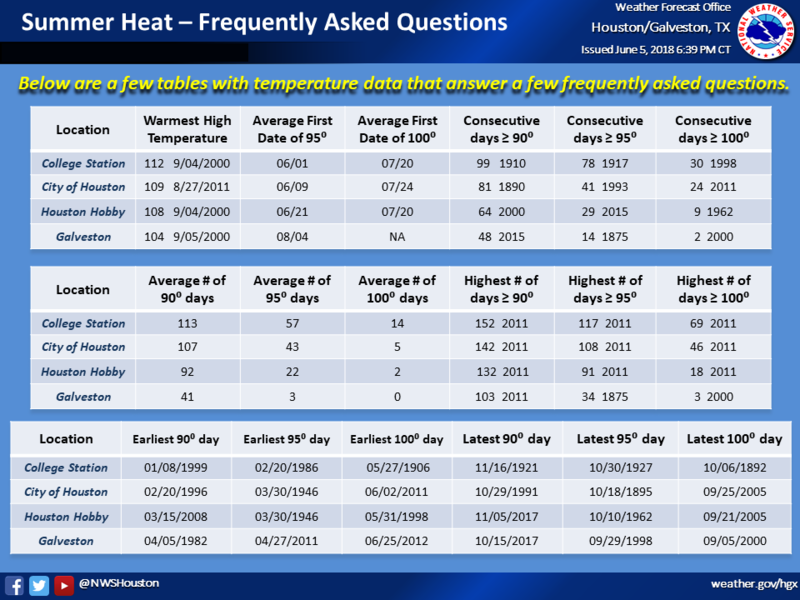 The history of the Houston office can be traced as far back as 1881, when a cotton station (in an unknown location in Harris County) was used as a base for taking weather observations. As the city of Houston grew, the need for a Weather Bureau Office resulted in the establishment of the Houston office downtown on September 16, 1909. Between 1909 and 1968, the Houston Weather Bureau office occupied three separate locations in the downtown area - the Stewart Building (at Preston and Fannin Streets), the Shell Builiding (at Texas and Fannin Streets) and its last location downtown at the Federal Building (at Franklin and Fannin Streets). The expanding needs of the old Weather Bureau forced a move out of the downtown area. In 1970, the National Weather Service moved the Houston area office to Alvin (southwest of Houston). 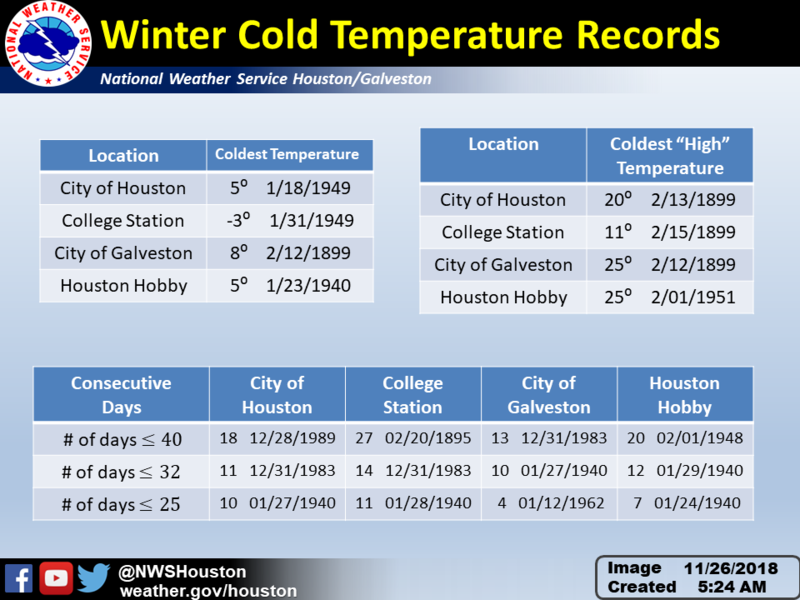 Around that same time, as a part of the move out of downtown, the weather observations part of operations moved to the its now current site at Houston Intercontinental Airport in northern Harris county. The NWS Houston office's move to its League City location was completed in October 1990. The office, with the new WSR-88D radar, remained at the League City location until April 2005 and served the Houston/Galveston area well during several severe weather events, including the November 21, 1992 tornado outbreak, the October 1994 Floods, the Record Heat of September 2000, and Tropical Storm Allison in June 2001. The current office location took more than seven years of planning. The Galveston County Emergency Management Facility, located next to what used to be the old North County building on FM 646 in League City, is the first NWS office in the nation to be co-located in partnership with emergency management. Occupants of the facility include the Galveston County Office of Emergency Management, Galveston County Emergency Communications District (911), and the NWS. When the County first considered upgrading their facility, an offer was made for the NWS to join in the project. They saw that we had the same problem that they had - an unsafe facility due to storm surge flooding in the event of a Category 4 or 5 hurricane. Working through the logistics of a federal and local agency partnering, developing a hurricane resistent design and developing the funding for the project required support from many outside the three offices, including Congress, NWS management, Texas Division of Emergency Management and the taxpayers of Galveston County. Groundbreaking began around November 2003, and the occupants of the new building moved in around April 2005. Hurricanes Katrina and Rita several months after our arrival in the building proved a great success of the joint operation. Our building was able to provide continuous support before, during and after these storms and during Hurricane Ike in September 2008 and Hurricane Harvey in August 2017. We were able to provide more consistent information to the public through jointly developed public information releases. We were able to address the media through joint press conferences which enhanced clarity of message to the public. In the future, by working together on communication of information, we can provide more timely support during other hazards such as floods, tornadoes, and man made disasters such as chemical plant releases or train derailments. We will be better able to support first responders with information through the emergency management channels.